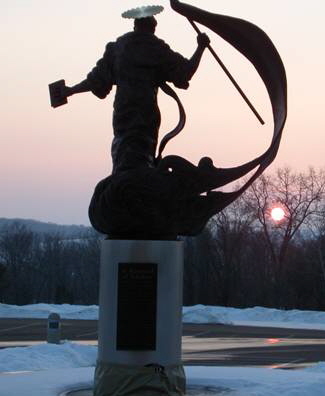 Our History: St. Raymond of Peñafort was formed in 1998 through a union of three area parishes -- St. John the Apostle (Fall Creek), St. Anthony de Padua (Augusta), and Holy Guardian Angels (Brackett). The scenic rural setting, on which our church is blessed to stand, has been owned by the parish since 1865. Since the creation of St. Raymond, the parish community has come together from all three churches to celebrate Mass, pray the rosary, educate the youth, hold meetings, and schedule various parish events and dinners, etc. The projected population growth in our geographical area, as well as the current shortage of priestly vocations, necessitated a larger, central facility. 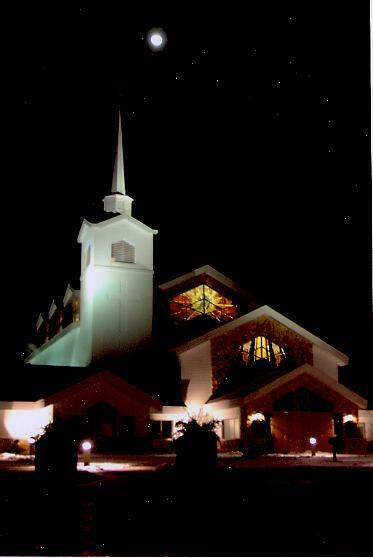 Our Church was dedicated on August 25, 2002. It is a new building with a very old soul. 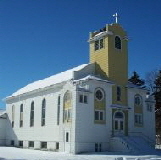 The Church is located on a hill overlooking the cemetery on a 40 acre site that the parish owns in the town of Clear Creek. We believe that the solid faith of our founders remains alive today in St. Raymond of Peñafort Parish.